The February 6th decision by the Court of Arbitration for Sport (CAS) to impose a two year ban on the Spanish cyclist Alberto Contador will have left few people convinced that justice has been done. The minority who believe that Contador is quote, a “drug cheat” unquote, are likely to have been enraged by the retrospective nature of the ban imposed. While it has ruined Contador’s reputation and stripped him of his 2010 Tour de France title (and forced him out of this year’s Tour) he will be able to recommence professional riding in August of this year. A middle bloc of opinion will lament the tortured judicial process that laboured for so long to deliver its verdict. Conversely, another significant minority who bother to read the CAS verdict will probably emerge feeling somewhat disturbed that Contador was found guilty at all. 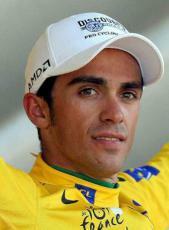 The only thing on which all parties are agreed is that yes, a tiny trace of clenbuterol (a bronchiole-dilating chemical in humans, and used to increase the ratio of lean meat to fat in cattle) was found in Contador’s body after a drug test administered during the Tour de France, July 21, 2010. ‘Contador’s reticulocyte values (i.e., the population of young, recently-born red cells in his blood) … during the 2010 Tour de France were atypical, and opposite to what would have been expected’ (paragraph 132, on page 25). Later we read ‘They [were] also significantly higher than the values measured during his previous victories at the Tour de France (2007 and 2009), the 2008 Vuelta and the 2008 Giro, while they should be comparable’ (paragraph 351a). Ditto his haemoglobin concentration (paragraph 351b). ‘Such values are not consistent with Mr Contador’s normal values and are difficult to reconcile with physiological variations. As such they provide indications which would be consistent with blood doping’ (paragraph 132, on page 25). 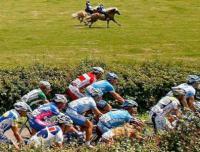 The Court of Arbitration for Sport, considered the supreme court of sports, ruled against the Italian riders Franco Pellizotti and Pietro Caucchioli, saying they were guilty of doping and must be barred from the sport for two years. Those decisions came not because they failed drug tests or were nabbed in a criminal investigation — the conventional ways athletes are caught doping — but because several telltale changes in their blood signalled that they had illicitly manipulated their blood to improve performance. To which then, one might well ask – why did the CAS, having effectively exonerated Contador from a conviction based on Biological Passport evidence, then impose on him exactly the same two year sentence as it imposed on two others who were convicted on Biological Passport evidence? The process seems more about a gesture to protect the image of professional sport, even if it means sacrificing the reputation, career and earning power of the athlete affected. The alarming thing about the structure of the CAS judicial proceedings was it made it all but impossible for Contador to be exonerated. Essentially, the prosecution did not have to prove Contador’s guilt – the onus was on him, under the conditions of strict liability that apply in such cases, to prove his innocence. Since, as the Spanish Cycling Federation pointed out, the nature of his defence – that he had ingested the trace of clenbuterol via a piece of veal he had eaten on the rest day – meant that he had eaten the relevant evidence, it was a logical impossibility for him to produce the only truly compelling evidence of his innocence. Clenbuterol has been outlawed since 1996 and it showed up only once in 83,203 animal samples tested by EU countries in 2008 and 2009, with zero positive cases in Spain from 19,431 samples analysed. Contador’s clenbuterol reading was discovered at a German lab in Cologne, which is one of just four of the world’s 34 accredited anti-doping laboratories cutting-edge enough to have detected the minute traces of clenbuterol. One can safely assume that not all – or even any – of the Spanish EU cattle are being tested at levels likely to detect the micro-levels involved in the Contador case. The amount was not only infinitesimal, but insufficient, of itself, to boost performance. The trace element of clenbuterol found in Contador’s urine after the July 21 test was a mere 50 picograms/ml, a value 40 times below the value the laboratory should be able to detect. In late 2010, Contador’s scientific adviser Dr Douwe De Boer called into question the lab’s declaring of an Adverse Analytical Finding for such a low amount, and argued that 50pg is 180 times less than the amount shown to induce physical benefits from the drug. Regardless, WADA sets no threshold for declaring a negative finding for clenbuterol. Instead, it sets a “Minimum Required Performance Level” (MRPL) instead, which serves effectively as a zero tolerance policy, in that any amount detected can be treated as the basis for issuing an Adverse Analytical Finding. It is doubtful whether tennis – which in the era of Rafael Nadal and Novak Djokovic places a similar premium upon endurance – would impose such financial and reputational penalties as those that have been imposed on Contador, for such a barely detectable presence of a banned substance. The case of French tennis player Richard Gasquet – who tested positive for cocaine and escaped any meaningful censure after arguing that he had ingested the drug from kissing a girl in a nightclub – suggests that top tennis players would not survive the level of scrutiny now being faced by top cyclists. In other words, the CAS didn’t face a high hurdle of proof for its alternative explanations, because to do so would reverse the burden of proof which – in contrast to the usual legal situation – rests in such proceedings upon the accused, and not on the prosecution. As mentioned, the CAS proceeded to shoot down its own most plausible alternative theory, but decided to find Contador guilty, anyway. It stripped him of his Tour De France victory in 2010 and all the other titles and prize money he had won since, and imposed – via the damage done to his reputation and brand image – a financial penalty estimated to amount to some 5 million euros . All for a tiny trace element. If you happen to have watched the 2009 Tour and saw the final brutal ascent of Mt Ventoux on the last day of that race, one would have few doubts about Contador’s right to be considered a genuine champion of the sport. In this case, we are not talking about anything like Floyd Landis and his testosterone sample on the 2006 Tour, that registered at three times above the allowed limit. Finally, the Contador case will do nothing to lend credibility to the anti-doping movement in sport, as we head into the 2012 Olympics. Clenbuterol has been an accidental presence in food and food supplements before, and will be again – and the system simply cannot distinguish between the conscious cheats, and the innocent victims of that situation. In July 2008, the American swimmer Jessica Hardy tested positive at the U.S. trials in July 2008. She served a one-year suspension, having claimed she unknowingly took the drug in a contaminated food supplement – and has subsequently made a successful comeback. Contaminated beef can be a legitimate excuse for clenbuterol in an athlete’s blood sample, the World Anti-Doping Agency said Wednesday, in a decision regarding five soccer players who blamed their positive test results on eating Mexican beef….WADA reversed course Wednesday when it withdrew its appeal of a FIFA decision to absolve five Mexican soccer players of doping charges. WADA said recent evidence lends credibility to the players’ explanation. WADA has subsequently received compelling evidence … that indicates a serious health problem in Mexico with regards to meat contaminated with clenbuterol. Which takes us back to the Spanish veal consumed by Contador. Apparently, if he had been able to produce a number of other Spanish athletes similarly infected, he might have been in the clear. But then given the minute trace in his system and the cutting edge technology necessary to find it, it may not be fair to condemn him, ultimately, simply because no one has (yet) been able to find similarly microscopic traces in anyone else. The finding is a vital one for anti-doping, because it reasserts the fundamental principle of strict liability: that the athlete is responsible for a banned substance that is found in his or her blood or urine and that the absence of proof that it has been ingested deliberately is not in itself proof of innocence. The athlete is guilty of doping unless he or she can prove they hold no responsibility for the presence of that banned substance. They have to provide that proof. Contador’s defence was that the clenbuterol must have got into his system through contaminated meat, not because that fact had been proven, but because there was no other possible explanation. The absence of conclusive evidence was claimed to be evidence. Had that principle been upheld, it could have established a precedent and driven a coach and horses through the strict liability rule. It seems harsh, but the balance of probability has to remain against the athlete. Actually it doesn’t, and it shouldn’t. Especially not if – as in the case of Alberto Contador – preserving the tenet of strict liability endorses a process that seems to share more in common with the Salem witch trials than with any modern form of natural justice.